The iPhone 6 and iPhone 6 Plus arrived last September, but now that we're well into middle of 2015 and its time for a new Apple iPhone. When is the iPhone 7 coming out? What are the new features and design that are going to dazzle us in the iPhone 7 when it launches? And will the next iPhone even be called iPhone 7 - shouldn't it be 'iPhone 6s', based on the naming conventions of previous iPhones (iPhone 4s, iPhone 5s etc)? Here's everything we know about the iPhone 7 release date, specs, new features and design rumours and bring you the latest iPhone 7 speculation to help you stay up-to-date with the latest iPhone 7 news, rumours and leaks. iPhone 7 is an astonishingly a running hot topic, eight months on from the iPhone 6 and iPhone 6 Plus launches and a good four months before we're likely to hear any official news from Apple about its next iPhone product launches. The web is full of speculation about the new iPhone launch in 2015: rumours about the iPhone 7's release date, its design, specs and features, and even its name. A Citigroup analyst is expecting that the new iPhone 7, which is expected to launch next year, would be featuring much higher resolution displays and a higher level of megapixels for the camera, among several other spectacular features. According to Barrons, Citigroup analyst Jim Suva says that Apple's decision to upgrade the display of the iPhone 7 responds to rivals' moves. "We note recent flagship phones from Samsung, LG and HTC have QHD display with 2560 x 1440 pixels. We expect Apple to also update their display resolution in the next generation iPhone 7," he wrote in a note, according to Barrons. He said, the new iPhone7 camera is going to be the top most quality camera over the previous models. "We expect that the iPhone 7 will have additional improvements in its camera hardware (12 MP for image sensing), in addition to software improvement also," Suva wrote in his note. Further, the analyst also expects the iPhone 7 to offer a very slim camera module, more LTE wireless bands, with improved battery life, with an eye-tracking sensor and must be waterproof. 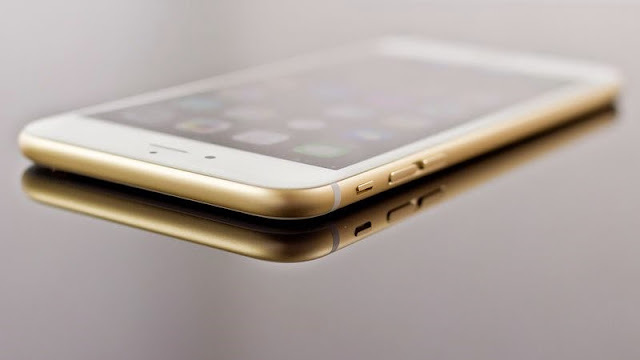 The tech enthusiasts as well stock brokers are awaiting the next Apple iteration and we at ComboUpdates will keep bringing you the latest news and reports about iPhone 7.